Feng Shui is the Chinese wisdom to understand universal energy and its effects. Feng Shui can be used to change the flow of energy and harness this energy for happy, healthy and prosperous life. Feng Shui products are tools that help to adjust or fix the flow of energy when it is stuck, stagnant, or moving too quickly and also enhance the flow of energy for extra attention on a part of life. In this article you can read about the Feng Shui tips for decorating and using these products and cures for every aspect of life. Want to improve you love and romance life, following Feng Shui symbols of love can help you a lot. Feng Shui Mandarin Ducks are famous symbols of lasting love. You place pair to these Mandarin Ducks in the southwest corner home or your bedroom as it represents successful partnering. Feng shui Love Rose Quartz Tree is most effective to energize the surrounding "love chi" when placed in love sectors. You can wear this as a heart shaped pendent or can be kept in the southwest corner of the bedroom as a rose quartz Bunch of Grapes. 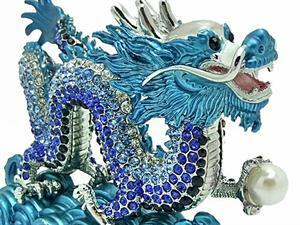 Feng Shui Dragon and Phoenix symbol symbolize the togetherness of two most amazing creatures on earth. The Dragon represents male vigor and fertility and the Phoenix represent female beauty and when they placed together, represent a successful marriage. You can keep this symbol in south west area for energizing relationships. Pink Crystal Lotus (with Rotating Table) is the most potent and popular enhancer of good luck, a powerful magnifier of love, relationship, harmony and romance luck. You can place this crystal lotus in your bedroom and home. 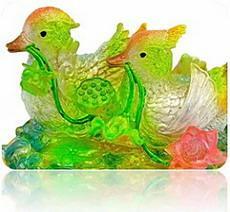 There many other Feng Shui symbols of love and romance such as Pair of Geese, Double Fish Symbol, Third Party Antidote Fox, Lotus Sprouting Mandarin Ducks, Kam Thong Yuk Lui (Virgin Boy and Girl Lovers) and many more available in the market to enhance your love life. We cannot deny that all of us pray for good wealth and prosperity in life. There are many simple, easy Feng Shui wealth tips and products to use in your space for strong wealth Feng Shui. Feng Shui Money frog: The Money Frog is actually a three-legged toad which often holds a coin in its mouth and has a string of coins around his feet. 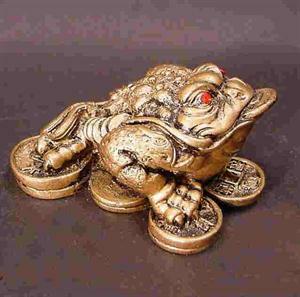 You can place this money frog either facing a main entrance, or in the northern (career) area or in the southeastern (wealth) area to activate the flow of prosperity in your life. In a store or office, it should be placed prominently near the cash register, facing the direction of the door. Feng Shui Goldfish is symbol of wealth and prosperity. Traditionally the Chinese place eight Feng Shui goldfish and one black goldfish in an aquarium to attract money but if you do not have an aquarium or pond, a picture, vase, shade, or porcelain figure of fish serves the same purpose. Besides these fish, the koi are just as effective, as well as a pleasure to look at. Feng Shui wind chime makes pleasant sound and this sound sends out ripples of energy which help to move and spread out Chi. Place a wind Chime in the Wealth corner of your home to capture the chi that is rushing through your entrance, helping to fill your whole home with new chi. Use metal wind instead of Wood, tiles, glass and ceramic chimes as the sound of metal wind chime radiates more metal chi. 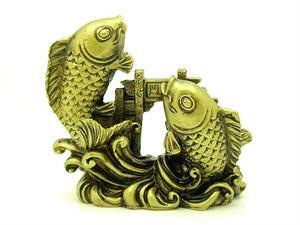 Feng shui Feng Shui Water symbols small pond, miniature fountain, water fall and aquarium of auspicious fish such as the gold fish can be useful as it symbolize stored, accumulated wealth. You can place the water feature in North Sector for career or business Success; Increase of Income. If you want to get overall wealth, prosperity and abundance than place water symbols in southeast sector and in east sector for family harmony and health. Similarly, water benefits the Wood element. Never put them in South sector as this is the element of fire. Feng shui money plants like jade plant or Crassula ovata can also be placed in as it attracts fortune and wealth by activating energy of missing elements. Many other Feng Shui products such as Feng Shui Stones, old Chinese coins, pair of gold chopsticks, laughing Buddha and lots more can help to bring good fortune and wealth in your life. Feng Shui symbols for longevity and health can helpful to get a good health and long life. There some Feng Shui products or symbols which can help you to get both. Feng Shui Wu Lou(Gourd) or the bottle gourd is a powerful symbol of health, longevity and prosperity. You can place in it every corner of the house. This symbol is most widely used in Feng Shui to protect oneself against unnatural death and serious illnesses. Feng Shui crane is the beautiful bird which creates harmony and longevity. You can place marble crane sculpture in a garden for better results. Feng Shui Longevity Tortoise as we all know that tortoise can live for very long, it is one of the four Celestial Animals, or Guardians in feng shui. 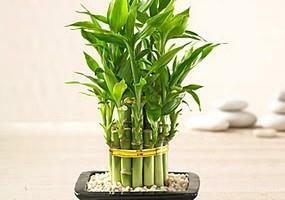 Feng Shui Bamboo tree is a symbol or icon of longevity, good health because of its ability to stay evergreen. You can place in any corner of your home to get its positive effects. 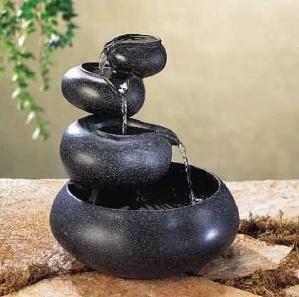 Lots more Feng Shui symbols for longevity and health can be used to get good health. Not only products or symbols help to bring good luck or good fortune bit many other products like red color can be a tool as a ribbon, Feng Shui mirrors and crystal products adjust energy flow also. Candles and essential create scents that energize or relax the homeowners. So use these Feng Shui symbol and enjoy the blessings and prosperity for many years.